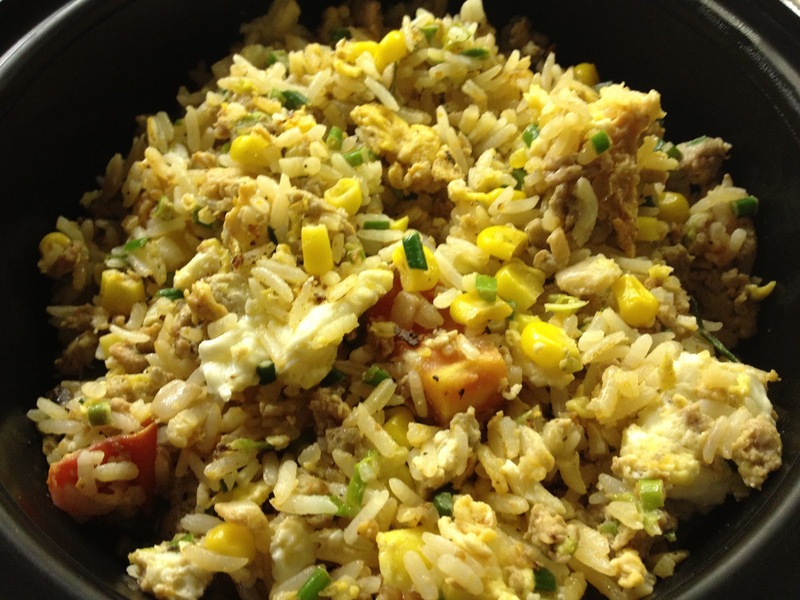 I can't help it—I adore fried rice. This will be the last time I blog about it for a long time, I promise. Plus, the other night, I discovered one addition that brought this time-honored dish to a whole new level of heartiness. Read the following quote for a hint. "It is funny, but the happier I am the more I want you and long for you and Christ I long for you. I want to show you so many things...My warmed over fish chowder is smelling up the whole house, so I guess it is boiling and I'd better eat it." Pretty funny thing to write in a love letter, eh? Adds an edge of reality to the otherwise cheesyish words (I call them cheesy, but I'm sure any girl would secretly treasure being lavished with such flattering language!). Like fried rice, fish chowder sounds like a nice, hearty meal. So why not a fish fried rice? You may know of a Chinese dish called anchovy fried rice. It gives off a stinky-yet-appealing smell, a la stinky tofu. I like my anchovy fried rice all right, but I never have anchovies in the house. I did, however, have some tilapia fillets in the freezer the other night, so I defrosted one in the microwave while the fried rice was sizzling away, and threw it in, which only added a few minutes of extra cooking time. Then, since I barely broke up the fillet, it remained in satisfyingly large pieces. Definitely one of my top fried rices ever, and I have made many a fried rice. Plus, unlike the anchovy version, it won't stink up the whole house like Eugen's fish chowder (but I imagine that his wouldn't have smelled so bad, really...? ).